This original is created on ¾ “ wood substrate. With sides and back painted black and key hole on back for hanging. 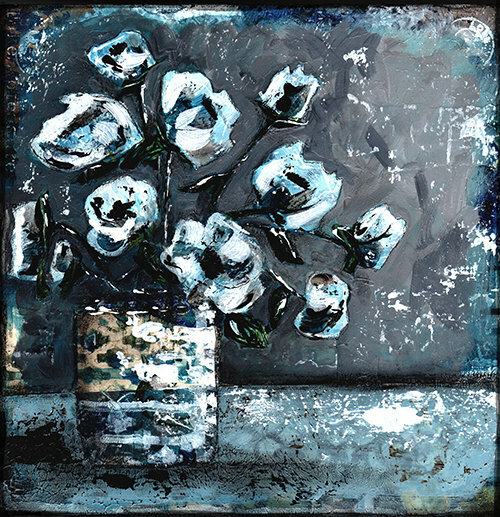 Lots of layers of vintage papers and paint with great texture and depth. Signed and sealed with a soft gloss sealer.